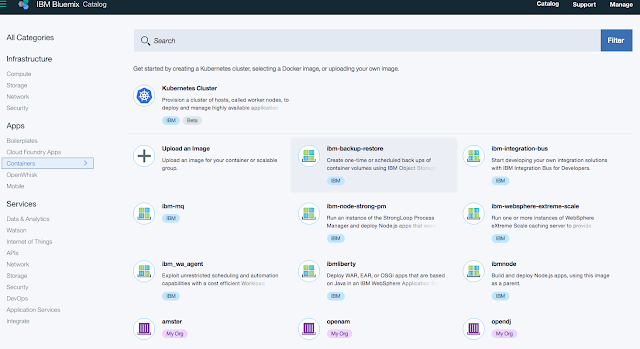 I will be using IBM Bluemix here as I have recent experience of it but nearly all of the concepts will be similar for any other cloud environment. 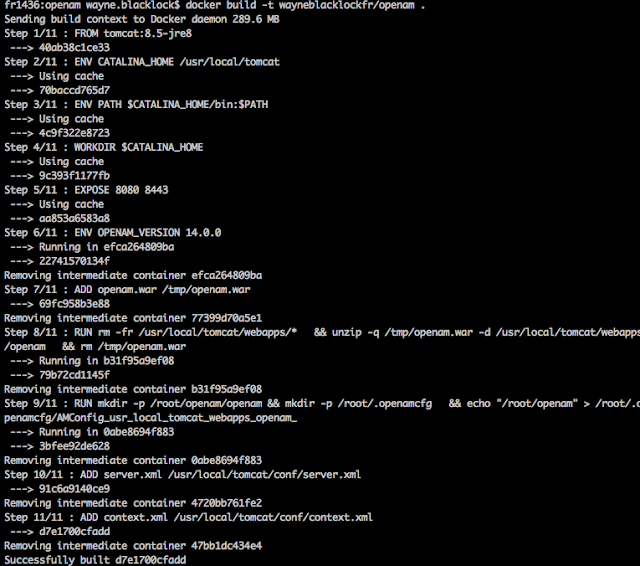 First up, we need to actually create docker containers that will host the ForgeRock components. Used to build, tag and upload docker containers. Used to deploy and configure the Bluemix environment. Deploy and manage Kubernetes clusters. Note we are using the US instance of Bluemix here as it has support for Kubernetes in beta. When prompted to select an account ( just type 1) and if you are logged in successfully you should see the above. 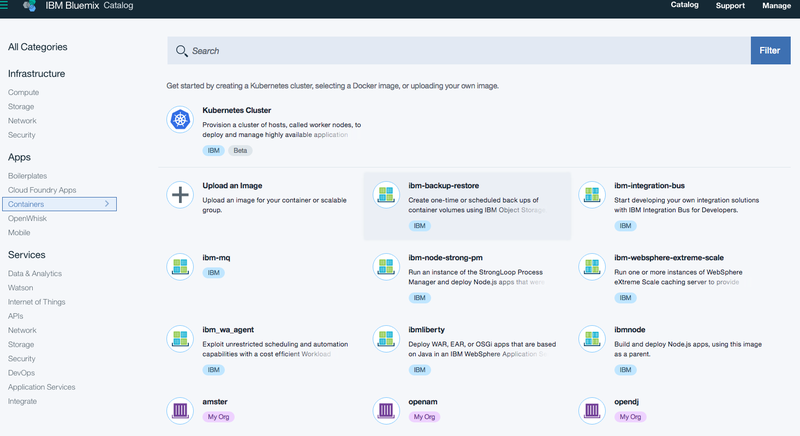 Now you can interact with the Bluemix environment just as you might if you were logged in via a browser. For those unfamiliar, Amster is our new RESTful configuration tool for AM in the 5 platform, replacing SSOADM with a far more DevOps friendly tool, I'll be covering it in a future blog. 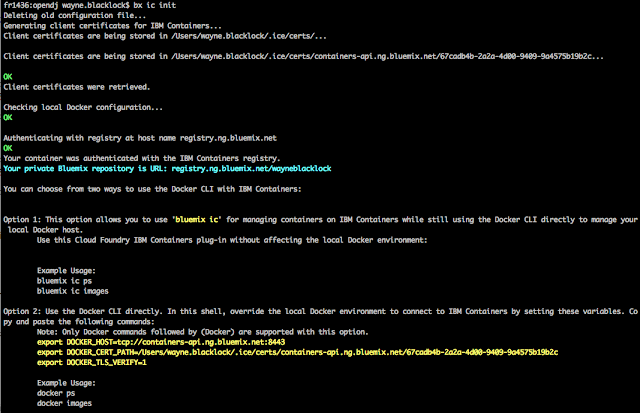 docker build -t wayneblacklockfr/openam . 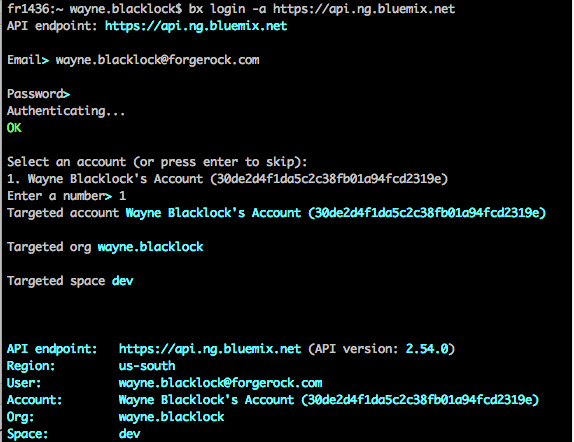 Note wayneblacklockfr/openam is just a name to tag the container with locally, replace it with whatever you like but keep the /openam. 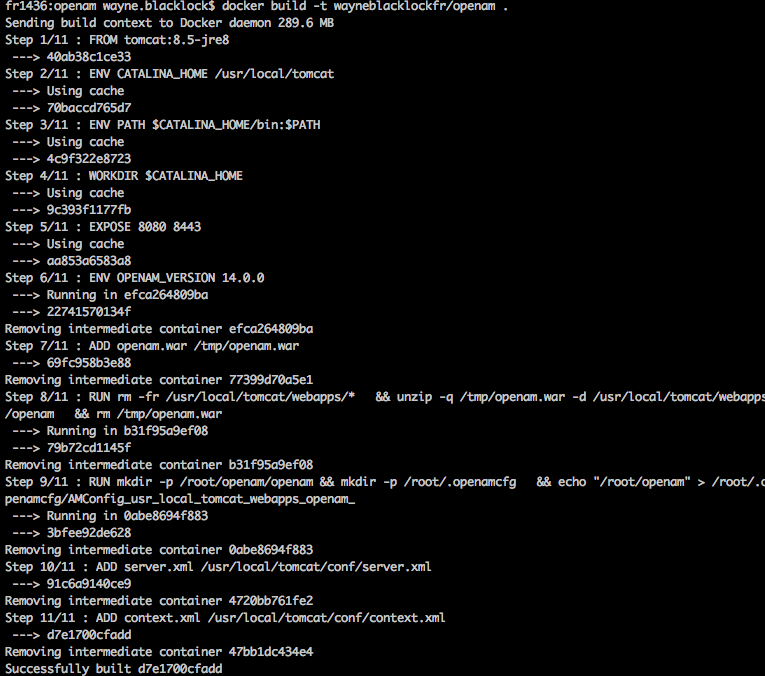 Congratulations, you have built your first ForgeRock container! Repeat the process for Amster and DS. docker build -t wayneblacklockfr/amster . docker build -t wayneblacklockfr/opendj . 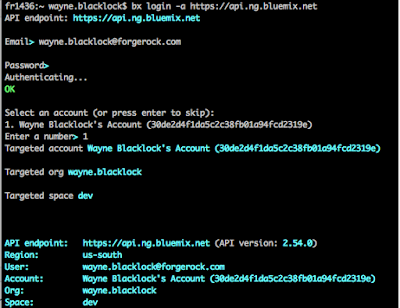 Finally we want to push our containers up to the Bluemix registry. Ignore Option 1 & Option 2, we are not doing either. We will take a look at actually deploying a Kubernetes cluster and everything we have to do to ready our containers for deployment. Nice and good article.Thanks for sharing this useful information. 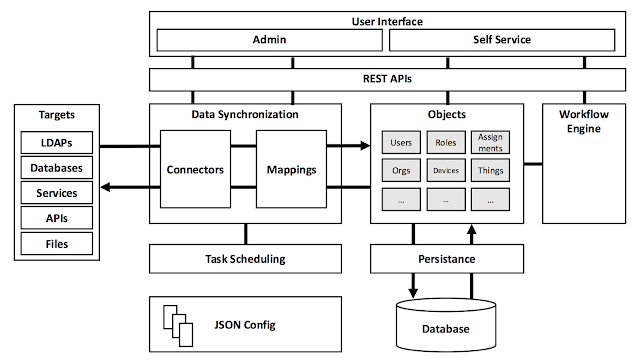 I applaud the publication of your article on building introduction to forgerock devops. It's a good reminder to look on the DevOps training. Thank you for sharing with us the post that you have worked so hard to refine. Very useful post and I think it is rather easy to see from the other comments as well that this post is well written and useful. I bookmarked this blog a while ago because of the useful content and I am never being disappointed. Keep up the good work.. The Probiotic supplement helps to balance good bacteria and in this regard, Zenith Labs Probiotic t-50 review is creating buzz. How far is the supplement reliable and worth considering, you will come to know about it here.